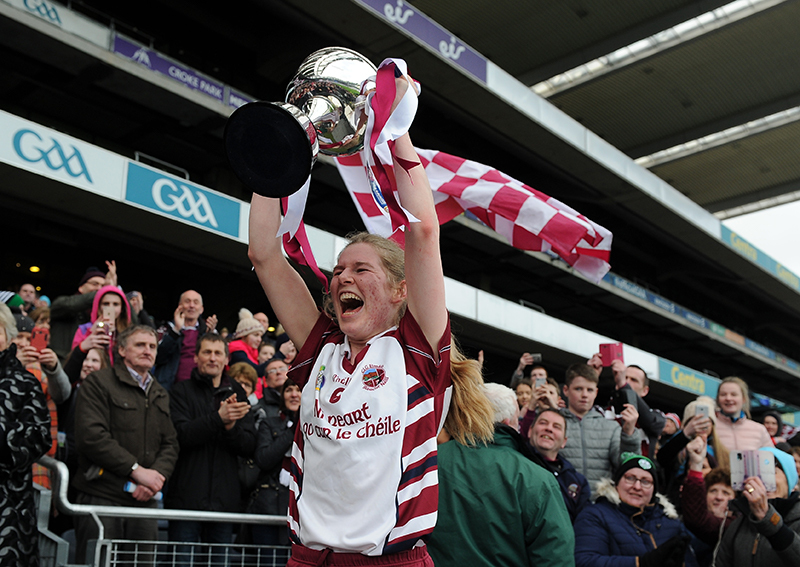 Slaughtneil camogie star Aoife Ni Chaiside recounts the momentous season where she captained the side to county, provincial, and All-Ireland camogie wins having lost her father to illness just days before the Ulster final. Daddy was the one who got me involved with Slaughtneil. He managed a lot of underage teams as well as the seniors and because there were seven of us in the house more often than not there would be three or four of us go with him to trainings and matches (and to give Mammy a bit of peace at home for a while!). When I began playing with the age group above my own I started to see some success at under 16 and minor, playing with my older sister Eilis and a lot of players that are on the senior team at the minute; Siobhan, Grainne, & JB to name a few. While you’re playing underage, you’re not really aware of the bigger picture, it’s the managers that can see what you’re working towards. Over the years the hard work was put in, the skills were honed… when you get the right players together with the right manager at the right time it all seems to progress naturally and it started to pay off in 2012 when we won our first senior county title. Dympna Dougan spoke about winning the intermediate title in 1993, this was the first time we’d won anything since then, it was a mix of older and younger girls, some who suffered through heartbreak after heartbreak, it was just massive for us. 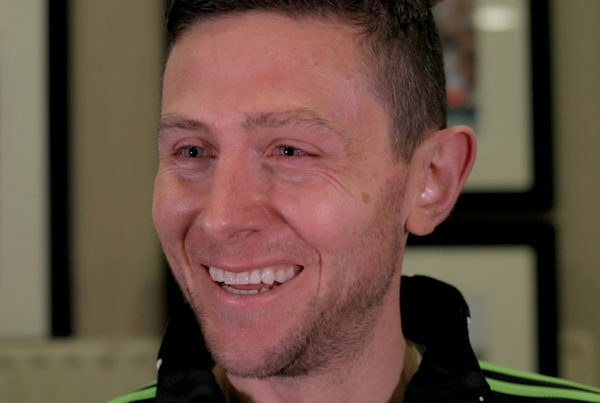 To see the underage teams coming through, some who have gone on to join the senior panel, with managers who believe in you, it all just clicked together. 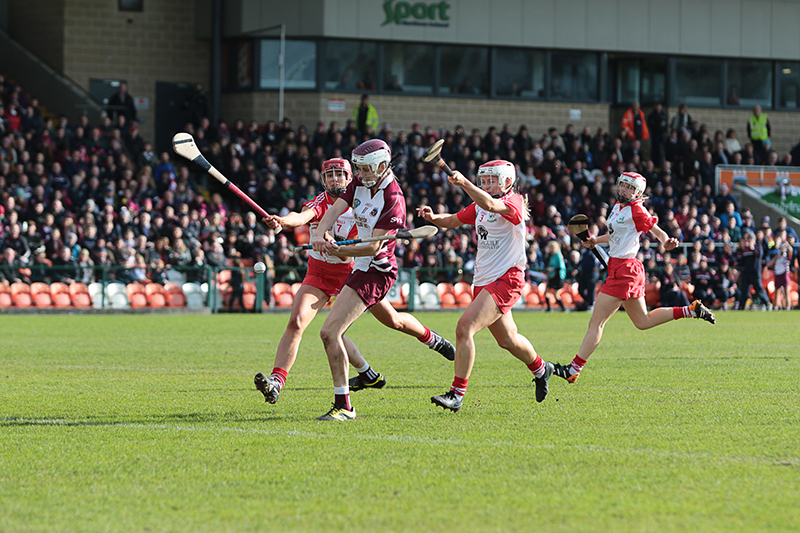 Slaughtneil is a special place to be a part of – we take a lot of pride in our culture, our heritage, and the language is central to that. Having seen people move out of the area or emigrating because of a lack of available work, our community association have put in a lot of work, investing in the area to make staying here a realistic option. The community association was central to that and obviously the GAA club helped to create a vibrant community. The club is like home to us. 2016 was a year that will live long in the memory. The day of the Derry county final in Magherafelt. Leaving the house that morning was very difficult as Daddy had been a manager of our Camogie team in 2015 and 2016 along with his friend Dominic McKinley. Daddy was fighting a battle against cancer and my sisters and I left the house thinking that he wasn’t going to be at the final. We were already focused on winning the final but he gave the whole team that extra incentive to go out there and win it for him. My sisters, my cousins on the team, the other girls on the team… it was an emotional day for all of us because we knew that he was missing it. 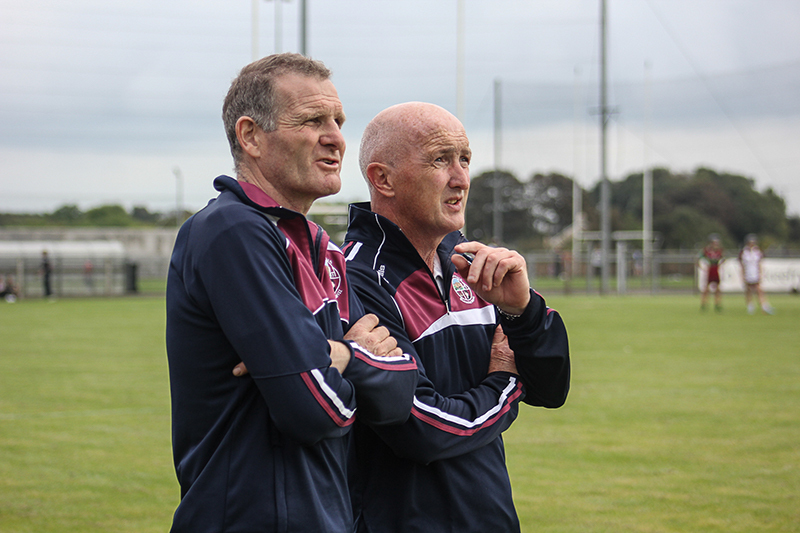 We were trying to keep it out of our minds because we had to focus on Ballinascreen who we were playing that day. The final whistle blew and we had won. I was the captain, it was brilliant… it was emotional… and then Daddy came, he had been there the whole time! He was able to sit in a jeep and watch the whole match, he came onto the pitch after the final whistle and it was just… lovely. A lovely moment for us, a lovely moment for the girls on the team, and a lovely moment with Dominic. It was just magical. Daddy passed away before the Ulster final. We buried him on the Friday and the Ulster Final was to be on the Sunday. We trained hard for that final, it was one of the few things taking our mind off everything. It was intense, we were building up towards and Ulster final, what’s supposed to be a great day, our hurlers playing the same day, a magical day for the club. We came together as a team on the Friday evening and we knew Sunday was going to be a very emotional occasion for ourselves and our brothers who were playing with the hurlers on the same day, but we were ready. The match itself ended in a draw, we were relieved with a draw to be honest, we were completely exhausted… just drained. The crowd was great that day, they had all been at the wake and the funeral, Daddy had a massive influence on so many people at the club, whether he had trained them, played with them, or been friends with them. The whole club was affected by his passing. If I’m honest I don’t remember the time between the final and the replay, we were still in recovery, I don’t even remember much from the first final. With the crowd coming in for the replay I just felt there was going to be a good atmosphere in Glen. Watching the cars coming in during the warmup, you definitely do get a buzz from that. So many people had come to that game, a lot of neutrals as well actually. There were over five thousand people there but it felt like so much more. It was a great day for Camogie. Three points down in the last five minutes of the game I still had belief that we could do it. You get that belief from knowing the players on your team and knowing what they’re capable of and even at that late stage I knew we hadn’t lost it. And then Mary Kelly scored that goal… disallowed. That was heart-breaking. I remember thinking to myself “If we get this next ball back into the forwards then we still have a chance”. 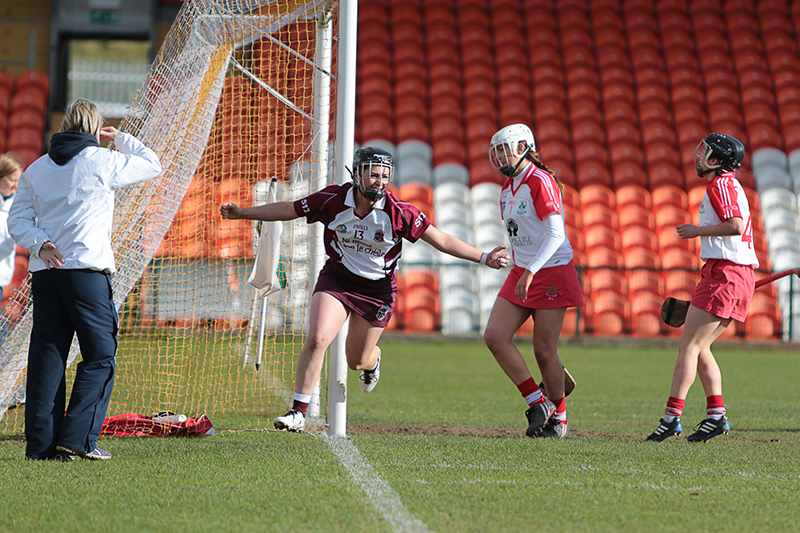 I think it was Louise Dougan who won the ball and played it into Mary Kelly, who had just seen a goal disallowed, scored an absolutely fantastic goal… and this time it stood. The place just went mad, people couldn’t believe it. As the final whistle blew the emotion completely overwhelmed me and I started to cry. To win it, and to win it with a last-minute goal, it’s hard to believe. You just think “Did that just happen?” It was fantastic to win it, sad that Daddy wasn’t there to see it, but brilliant for the team and the community. It was just magical. Claire McGrath, the vice-captain, came up to collect the cup with me, she was a fantastic role model for all of us and I felt that it was only right that she lift the cup with me. 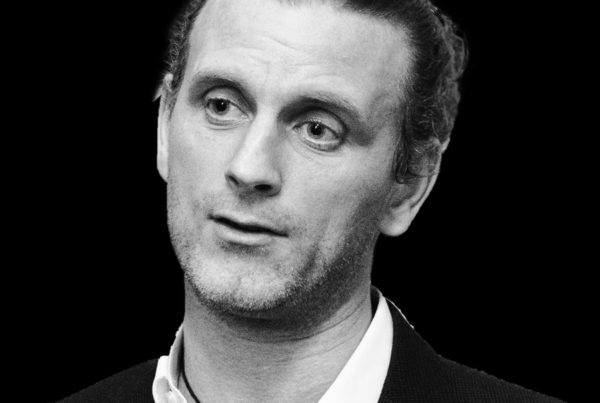 I don’t remember preparing a speech, with everything that had gone on I hadn’t thought for a minute about a speech, I just said what I was feeling at the time and being a gaelgeoir speaking as Gaeilge came naturally to me. I like to think Daddy would have been proud as he was passionate about the language. It was magical to lift the cup as captain and a privilege to be able to speak in Irish and English, I appreciated Mammy and Daddy for allowing me that privilege. 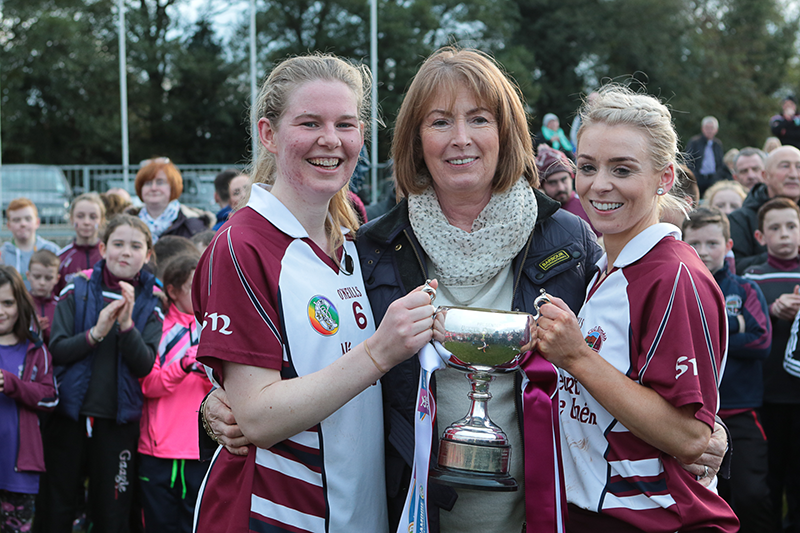 It was a very special occasion to bring the Ulster cup back to Slaughtneil. In the buildup to the All-Ireland, it was our first time encountering such an occasion but the managers had a plan in place. The most important thing was that the whole team bought into it. There was never a question of that not happening. When we look back at it we did a lot of things right and it worked out for us. We got back training at the end of November ahead of the semi-final in January and it was important to keep everyone together and motivated. Winter didn’t seem as long because we were working for each other. Burgess-Duharra gave us a very tough contest in the semi-final and when we got through that we were headed to Croke Park for an All-Ireland final which was an incredible feeling as a camogie player. We were confident that we wouldn’t get carried away by the occasion. We weren’t known as a camogie powerhouse like some of the other teams that go to Croke Park regularly, we were going into uncharted territory which made us underdogs and we were just fine with that. 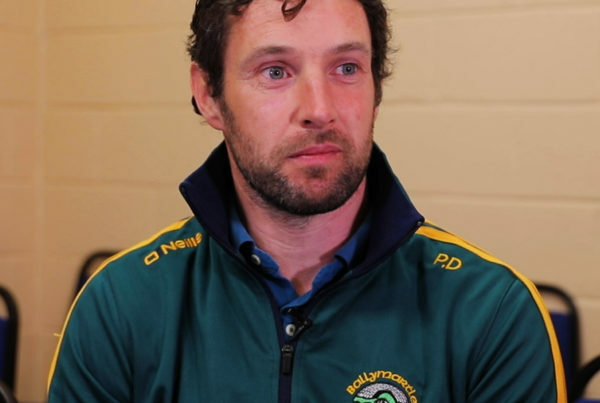 Of course we didn’t talk about that ourselves, being an underdog, we were going out to play a camogie match for 60 minutes and at the end it’s the team that works the hardest wins. When we won that day, it wasn’t any sweeter because we were the underdogs, it was sweet enough being an All-Ireland final win! Walking up the steps of the Hogan stand to lift the cup on behalf of my hometown, it felt like I was in a daydream. Seeing the team follow me, looking at our managers’ faces, our supporters surrounding us – our families, our friends, our community – all in Croke Park to celebrate our achievement. When it’s your club, it’s your daughter, it’s your niece, or your granddaughter playing which makes it so special. 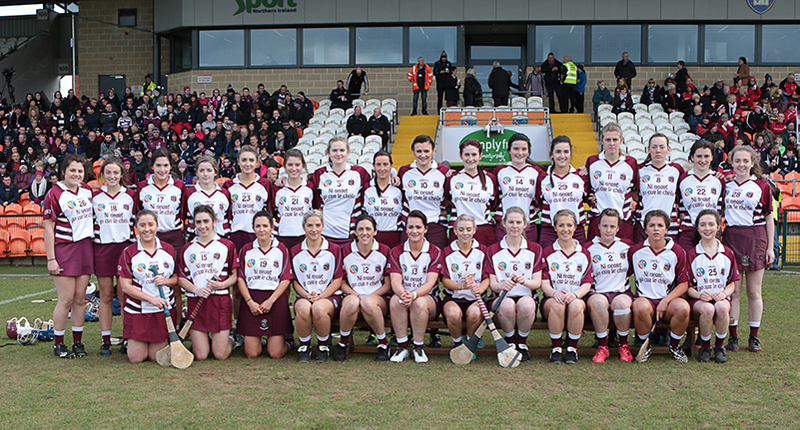 To hear the President introduce Slaughtneil as All-Ireland camogie champions was fantastic. To lift the cup toward the girls who had worked so hard, to the managers who had sacrificed so much, to the community who had been there every step of the way, it was just amazing. The speech went the same way as the Ulster final, on the way to the bus on matchday I said to my cousin “I have nothing prepared if we win” because I didn’t want to think too far ahead, I obviously wasn’t the best at planning. She said to me “if you have to say a speech, it’ll come to you”. Again, saying the speech that day as Gaeilge agus i mBéarla, was special. My great-uncle Patsy, my Daddy’s uncle, who was 90 at the time I think, he was one of the only spectators allowed onto the pitch and got a picture with the whole team so that was fantastic, they’re amazing memories and photos to have. It’s a memory that I will always cherish. If you enjoyed Aoife’s article, you might like to read Johnny Magee’s “I Should Thank Éire Óg For Beating Us“.